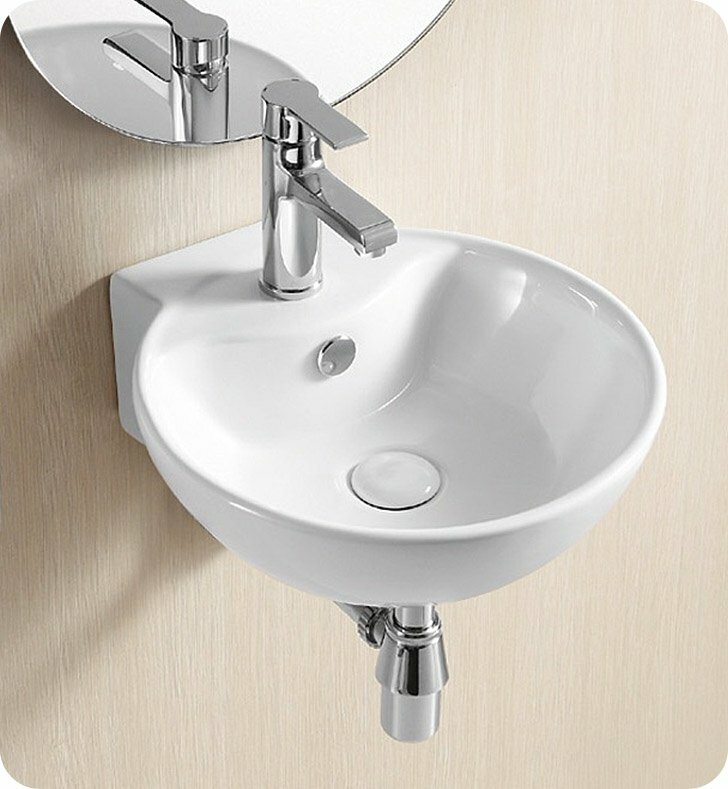 Circular bathroom sink needs to be wall mounted. Made by Caracalla out of high quality porcelain in Italy. Comes with overflow and a single hole for your favorite faucet. Dimensions: D 15 7/8" x W 16 3/4" x H 6"